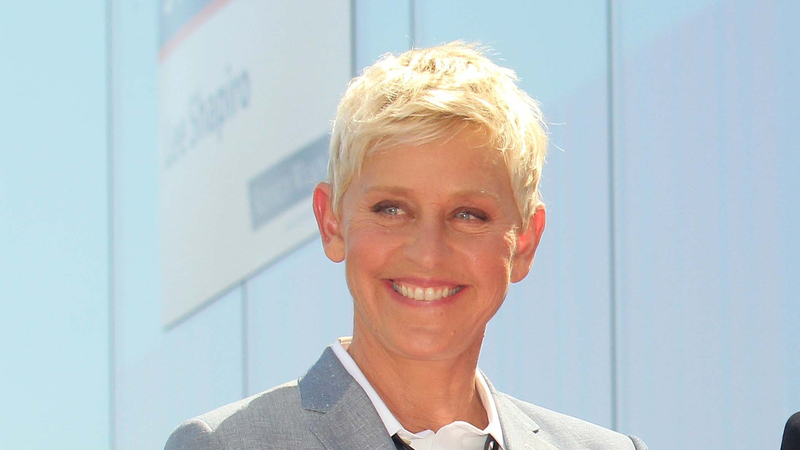 We get excited about pretty much everything Ellen DeGeneres does, from her new stand-up special on Netflix to the signature dance moves she busts out on her show. But we were totally taken aback with our delight over one of her latest endeavors: a striking line of lighting fixtures she designed in collaboration with Generation Lighting. In our humble opinion (that we’re passionately sharing on the internet — that’s what humble people do, right? ), lighting is often one of the most overlooked aspects of interior design. Your new couch may be fashionable and comfy, but no one will know if they can’t really see the darn thing once the sun goes down or if you have heinous, harsh overhead lighting that completely washes it out. ED Ellen DeGeneres will solve your lighting woes with a line of floor lamps, table lamps, sconces, pendants and chandeliers that are both functional and extremely sleek. Inspired by “Relaxed Mid-Century and Rustic Modern” designs, the style here depends on elegant lines and some bold color choices. 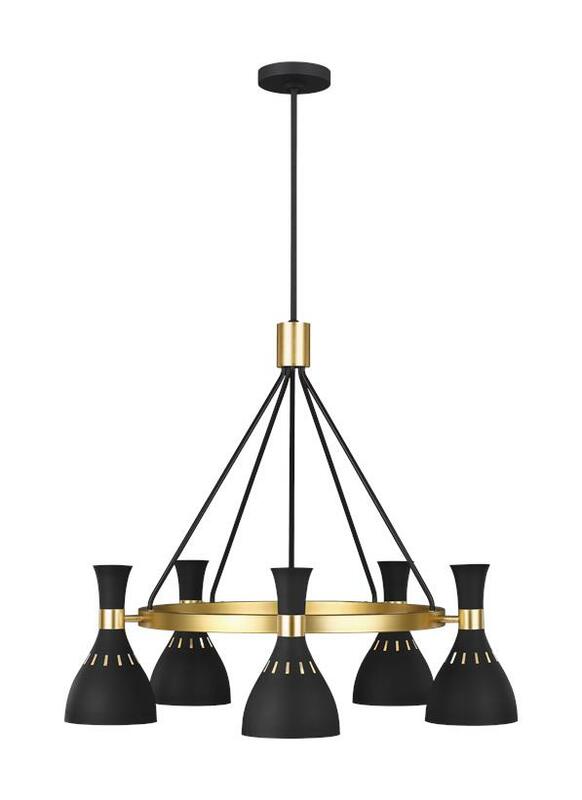 Take the Joan 5 light chandelier. It’s finished in an elegant matte black but has shiny gold accents for contrast (it also comes in a matte white finish if you want something a little brighter — while the black light would look incredible in a modern industrial living room or kitchen, we can see the white finish working beautifully in the bathroom). We also love the unique shapes used in the wall sconces, floor lamps and table lamps. Unique details like looped iron bases and oversize bulbs make these light fixtures just that — a fixture of your design ethos, not an afterthought. 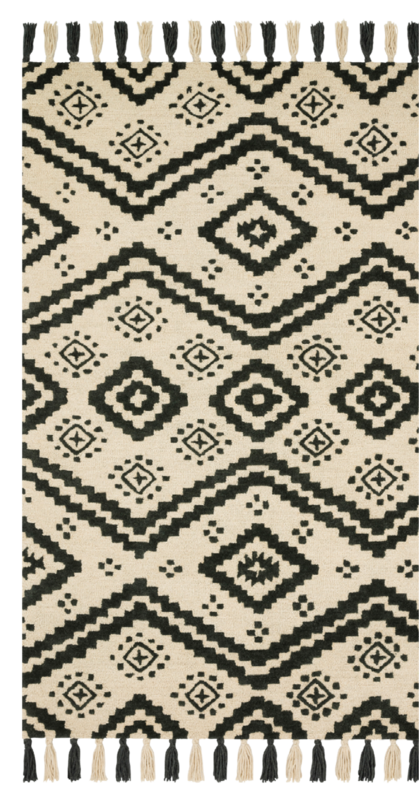 DeGeneres also spruced up her home decor line with a couple of new textile and floor-covering products that are worth checking out. You can check out the entire ED Ellen DeGeneres for Generation Lighting line and find store locations on ED’s website. It looks like it just might be time to finally get started on that living room makeover.